Mark Shuttleworth has just announced the new codename for Ubuntu 11.04. It is to be called Natty Narwhal. It follows the series: Karmic Koala, Lucid Lynx, Maverick Meerkat and now Natty Narwhal. 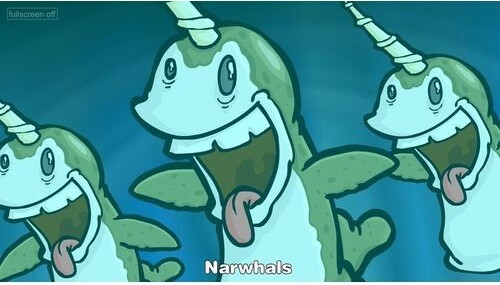 So the Narwhal, as the closest thing to a real live unicorn, is an auspicious figurehead as we lay down the fabric from which dreams will be woven. Dreams of someone’s first PC, dreams of someone’s first million instances in the cloud: whatever your vision of the future, we hope the Natty Narwhal will have something to offer.